The most common form of weeping dogwood is Cornus florida ‘Pendula’. It may grow as high as 15 to 20 feet and 10 to 15 feet wide. The tree has a stiff weeping habit, deciduous foliage, and the flowers have a sweet fragrance. The bracts are white, which gives the appearance of white flowers. In the fall the leaves turn red, giving your landscape three seasons of interest. 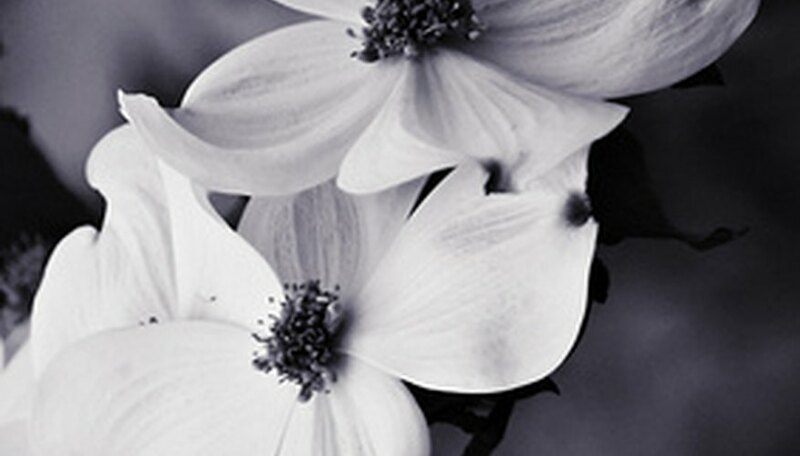 Weeping dogwood is hardy in USDA planting zones 5 through 8 and requires little maintenance. Water the tree weekly during the spring through fall. Long slow watering once a week is better than short watering every couple of days. After the second year you should only need to water during times of drought. Weeping dogwoods are not drought tolerant. Place some fish emulsion on the soil over the roots of young trees. Commercial fertilizers are not necessary during the tree's first year. In the fall, place a 2-inch layer of compost over the soil and water to leech it in. Apply a fertilizer made for flowering trees once a year in the spring beginning the tree's second year. Cover a 3-foot radius around the tree with a 3-inch layer of pine bark mulch. Keep the mulch at least 6 inches away from the trunk of the tree. This will keep the roots cool, weeds down and prevent damage to the trunk of the tree from string weed cutters and lawn mowers. Prune dead and diseased branches from the tree as soon as you notice them. Cut them off at the trunk and do not leave stubs. Cut off all branches that are crossing and rubbing together and suckers coming from the base of the trunk. After flowering, prune to shape if desired, although it is not necessary.